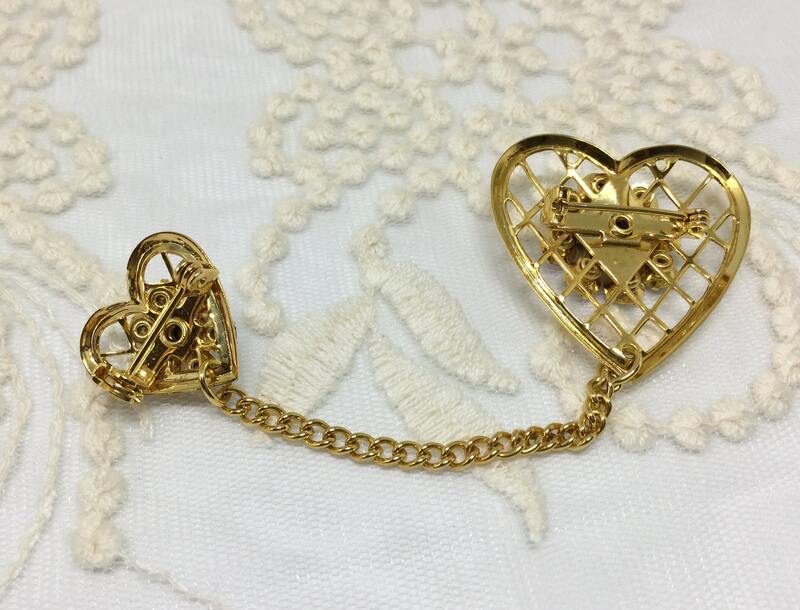 This is a sweet 1950s vintage goldtone unsigned two hearts chatelaine brooch. There are two open hearts, one small and one larger, with inside criss crossing. On each inside criss cross is an Aurora Borealis rhinestonesflowr. 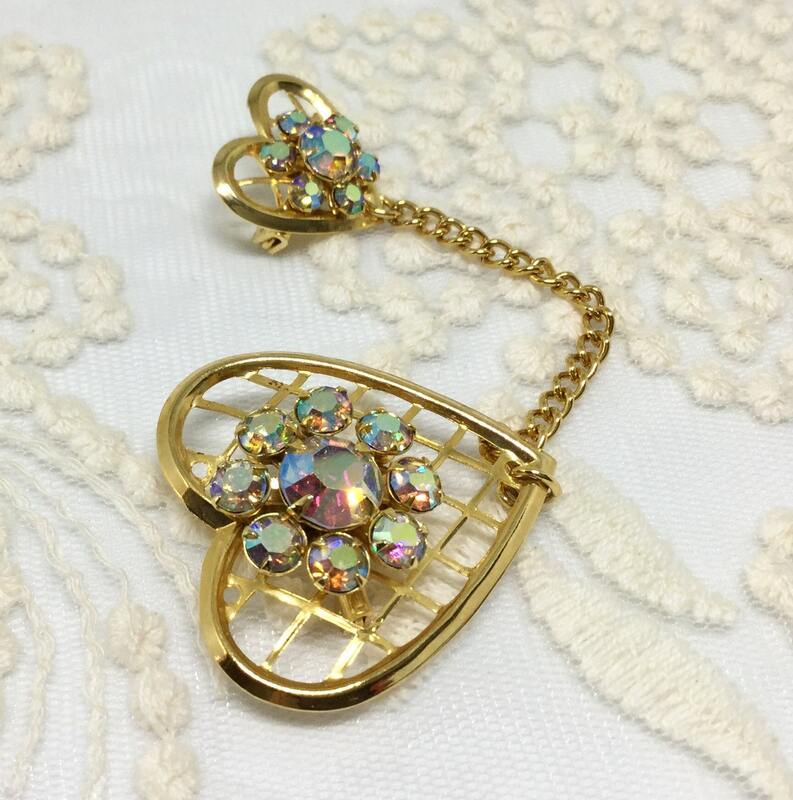 The rhinestones are faceted, prong set, sparkly, and original to the piece. 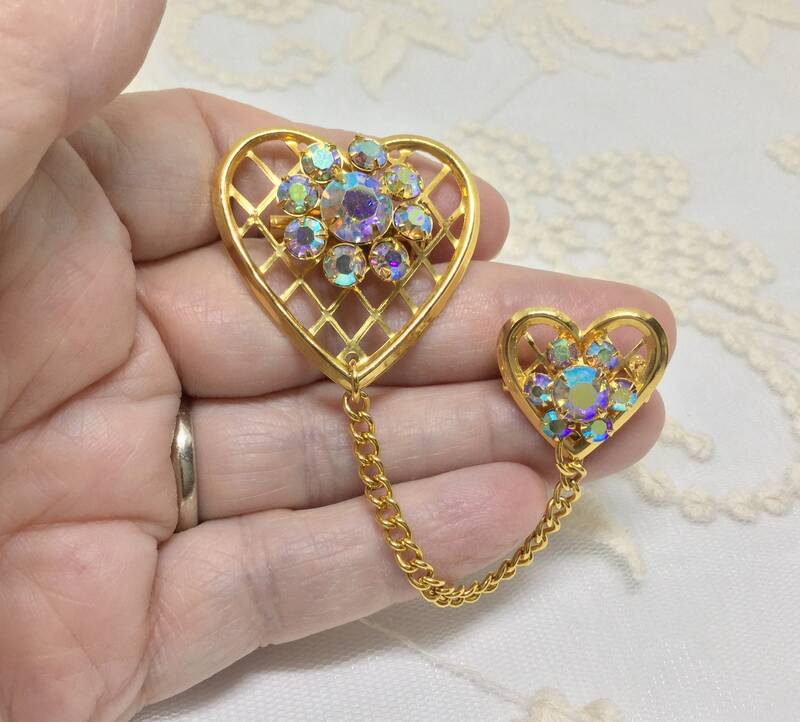 The hearts are joined by a goldtone chain and each heart has its on pin closure. The pin closures are straight and work smoothly and securely. 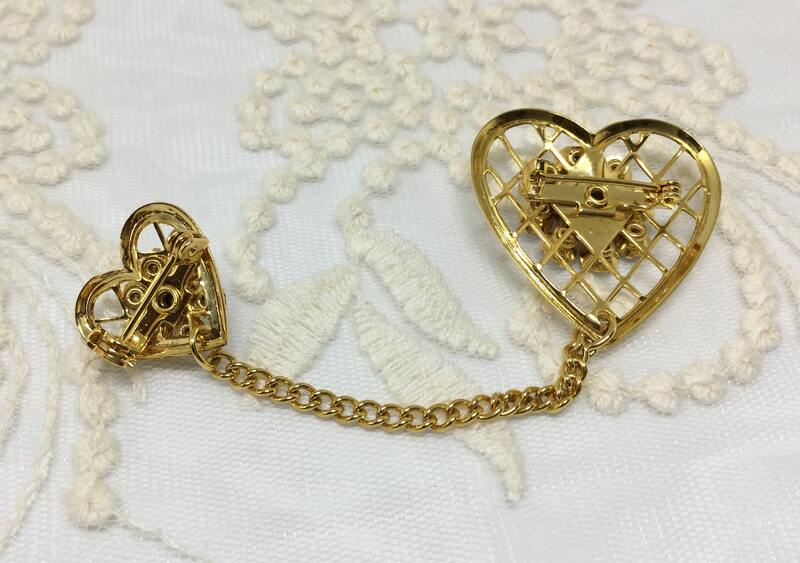 The small heart measures 3/4” x 3/4”, the larger heart 1 1/4” x 1 1/4”, and the chain is 2 1/2”. 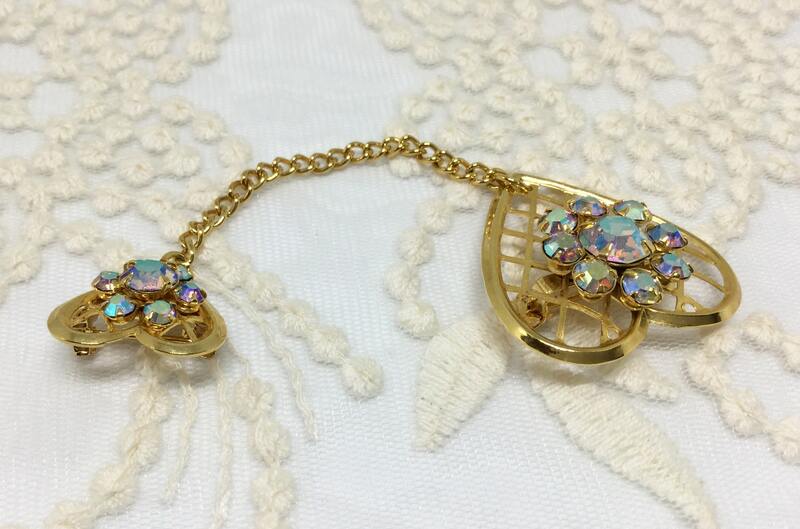 It is in excellent vintage condition and ready to wear. 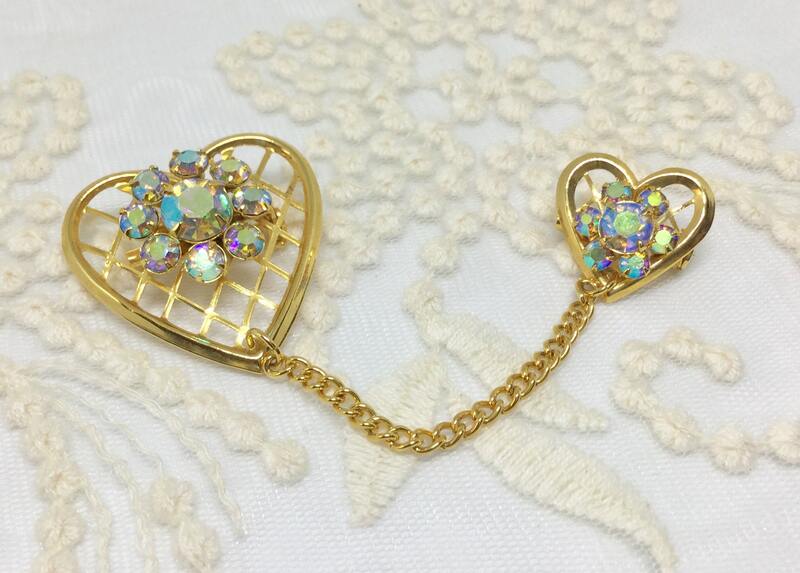 Definitely a romantic sweet piece to wear for work or play!